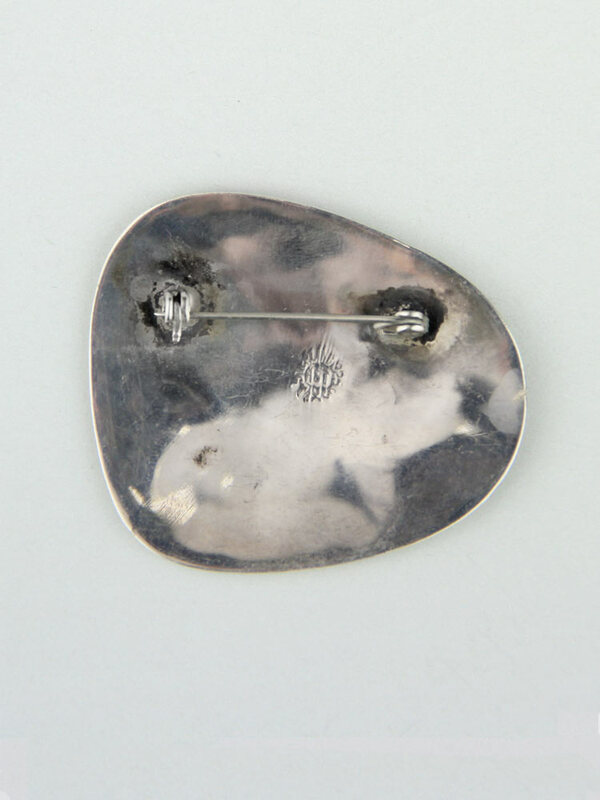 Amazing BIG Sterling silver brooch. 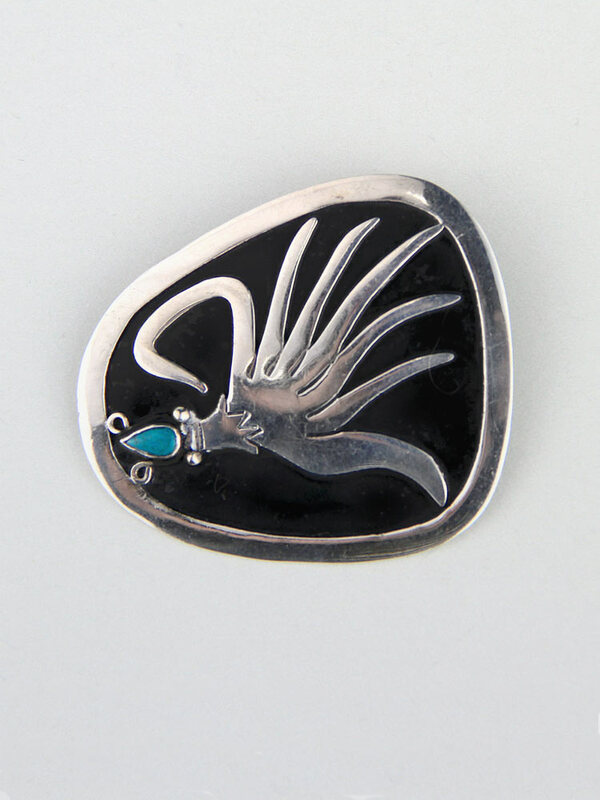 Handcrafted, mid century in Taxco, Mexico, this is a large and dramatic brooch with a raised organic motif and smooth bezel set little piece of turquoise set on an oxidised base. Big, dramatic brooch. Spectacular vintage condition. Shows mild wear commensurate with age, no dings or chips, minor wear to oxidised area, will come with some patina, as level of polish is a matter of taste. Has a handcrafted look to it - amazing vintage piece.